“As learning becomes less restricted to classrooms, connected mobile devices and other augmented environments will provide the capacity for educators and students to bridge gaps between learning contexts, including between home and school, and to contribute to joint constructions of knowledge over time and space,” Kathryn Moyle. The augmented learning of the future predicted by Moyle and other educational professionals back in 2010 has already become a reality for a large number of students and educators worldwide. As one of the major trends that contributed to the innovation in the education sector, the rise of cloud computing is still one of the greatest forces that drive change. As pointed out in our Cloud Computing in Education white paper, cloud technology has become a popular resource used to reinvent learning and teaching processes, as well as to cut infrastructure costs. The astonishing potential of such tools lies in their ability to connect students, researchers and educational staff, and create a powerful collaborative environment adjusted to the needs of modern life. In Australia, which is one of the world’s top cloud adopters in the business sector, educational institutions are also following the pace of change and eagerly adopt cloud platforms. To determine how the cloud works in context in Australian education, we had a look at several institutions that are utilising the platform to improve research outcomes. Self-service and the researcher has complete control over who may share a software application or data. Easy access and rapid deployment of software applications. New and innovative ways of working that can be tested at minimal cost. Free to test out and trial software applications and the service can scale to meet demand for successful applications. NeCTAR is funded by the federal government with $47m grant. 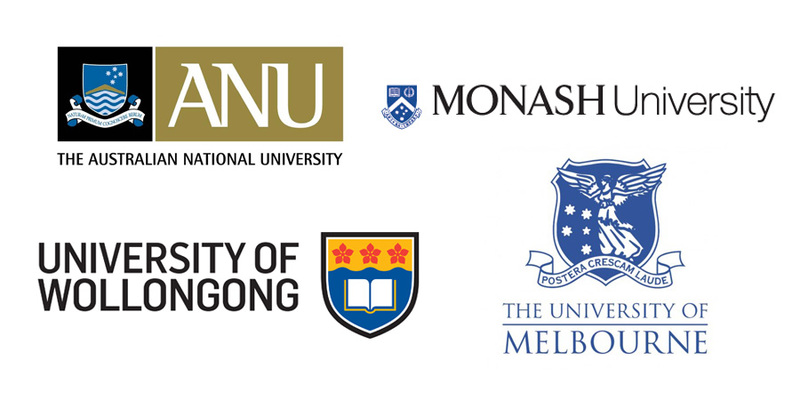 Today it is located at eight different organisations including Monash university, University of Tasmania and Australian National University. As another institution that uses NeCTAR research cloud, Australian National University is also among the top edu cloud innovators. In fact, ANU was among the first Australian research institutions that gained access to Microsoft cloud back in 2010, when the technology was still in its infancy. Together with NICTA and CSIRO, ANU became one of the partners in the company’s Global Cloud Research Engagement that provides access to Microsoft Azure for research purposes. Furthermore, through the Regulatory Institutions Network (http://regnet.anu.edu.au/), the University also promotes research in the field of cloud security, which is certainly one of the burning issues in the cyber world. Monash has been using cloud resources for a while now and is still focused on exploring their potential. One of the most interesting projects launched by the University was Nimrod/G, a cloud-based student project built back in 2010. Today, Monash University is working on expanding its cloud data center with Mellanox CloudX platform to further enhance research and collaboration workflows. In addition to this, University of Wollongong also provides resources for researchers in the form of High Performance (HPC) and Cloud Computing technologies through partnership with Intersect, a non-profit eResearch services provider. An excellent example of how these resources can be applied in science is the project by A/Prof Aaron Oakley and his team, who use Raijin at NCI for their research in Alzheimer’s disease. Considering all the innovative ways Australian universities are using the power of the cloud, it is easy to see why the future of research and science may sit on this platform. Apart from reinventing learning and teaching processes, the cloud is clearly contributing to the development of science, which is where its impact may be most obvious. Finally, the true era of cloud dominance is yet to come and we may expect that these institutions will drive the innovation in the whole region.